The South Australian Whale Centre’s education sessions cater for students of all ages, are competitively priced, tailored to specific year levels and include extensive curriculum support. The South Australian Whale Centre features a purpose-built classroom, the Southern Right Room, which caters for large groups in a dedicated, safe, and secure learning environment. Education programs run for a duration of 45 minutes to one hour and are tailored to specific year levels based on the Australian Curriculum and the level of knowledge required by participants. 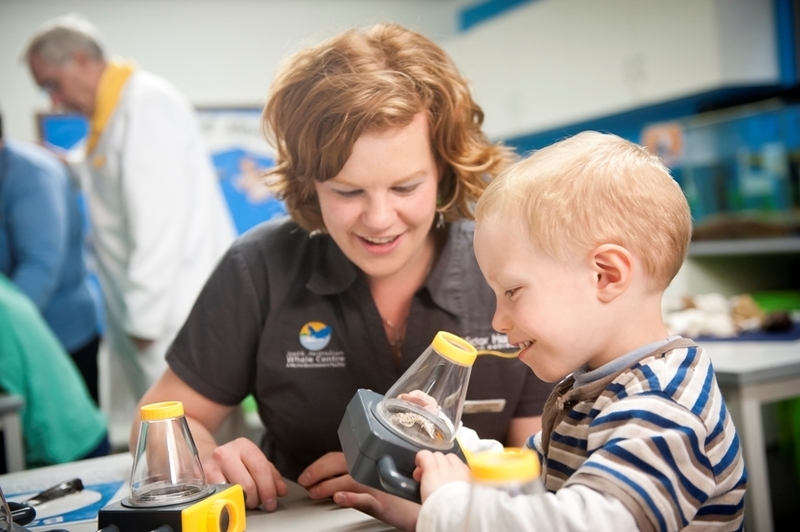 Each program is themed to complement the South Australian Whale Centre’s Whale Education Pack. A number of full-day packages, mobile unit presentations, English as a second language programs and teacher professional learning sessions are also available. The South Australian Whale Centre’s Whale Education Pack has been designed to provide teachers with a systematic approach to support students when learning about whales. The Whale Education Pack aims to reduce teachers’ workloads by providing a pre-planned 10 week science program focussing on whales. 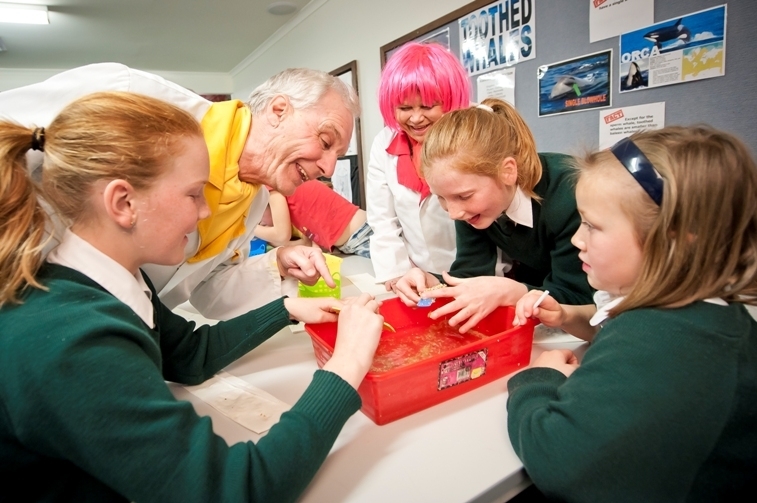 The South Australian Whale Centre’s Mobile Education Unit is a travelling unit that delivers interactive performances and hands-on classroom based science experiments at your school. 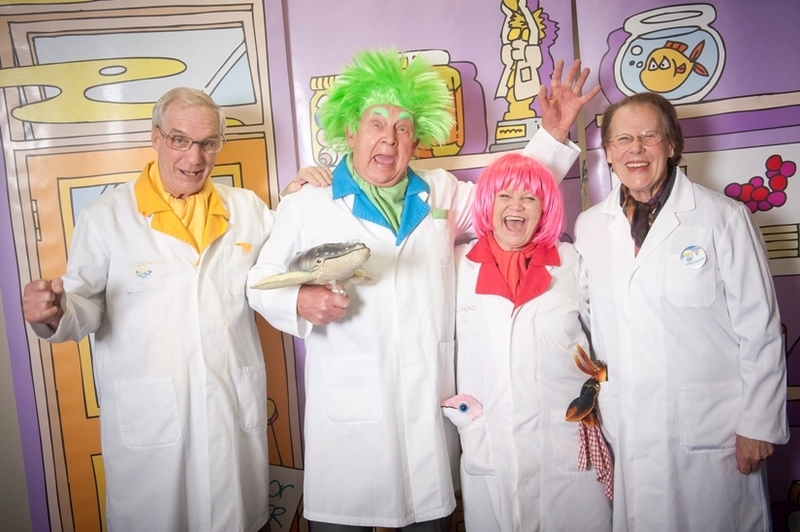 Professor Blubber and his research team will visit your school (or nominated site) to entertain and educate students about whales and the state’s marine environment. Suitable for all ages, Discovery Education Tours offer an alternative to curriculum-based classroom education programs (also offered by the centre) whilst maintaining relevant educational outcomes for students. The tours are designed to be fun, interactive and educational. OSHC and school holiday programs run during every holiday period. Each holiday the Whalefest programs change, giving a unique experience every visit. Science, craft and performances are all part of our popular Whalefest sessions. Due to high demand for education programs, we recommend that teachers book as far in advance as possible. Contact our education team today to secure your booking for as little as $4.50 per student. Echo’s Tale of a Whale (P-Year 1): uses music, dance and tactile elements to explore whale calves’ development, and teaches children about whale features, physiology and behaviour. Whale Shakes (R-Year 2): develops students’ knowledge of whale features, physiology and behaviour, also using water-based experiments to discuss calves’ density and feeding patterns. Grubs Up! (Year 3-8): uses water-based experiments to show baleen (mysticeti) whales’ feeding techniques. Who am I? (Year 6-9): extends students’ knowledge and understanding of whale features, physiology and behaviour using scientific identification methods and tactile experiments. Green Whales (senior, SACE & Tertiary): focuses on the whale watching industry’s role within ecotourism and the economy. Participants learn about Encounter Bay’s historic whaling industry and its influences on whale watching. English as a second language (ESL) and special needs programs are also provided, being specifically tailored to meet the needs of the participants.